"Are You Wasting Your .NET Developer Training Budget?" 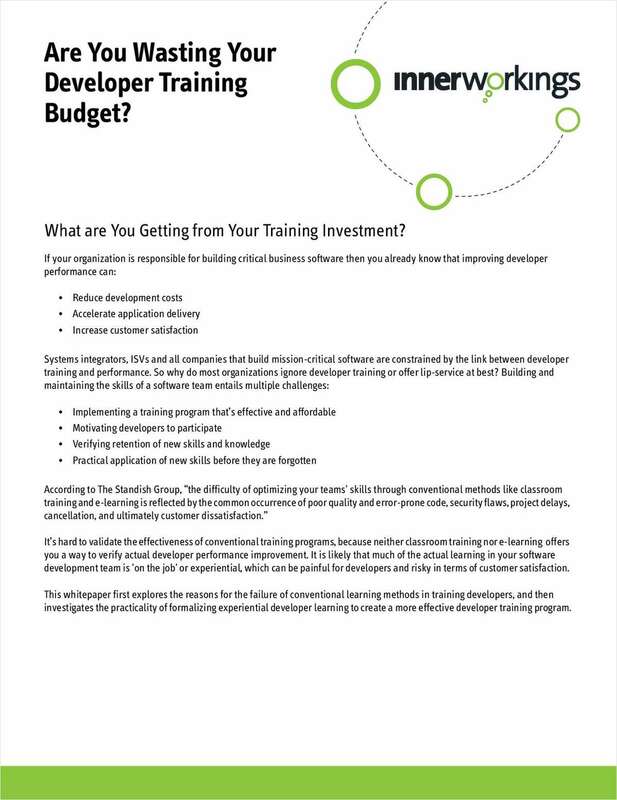 Free White Paper: "Are You Wasting Your .NET Developer Training Budget?" If you want your software team to stay abreast of the latest software technologies while also developing new applications and supporting an existing code base, you cannot afford to rely on outmoded training methods.